The XL57 is Dynamic Corvette’s offering to the people which can not fit in their favorite Corvette body style, the C1. 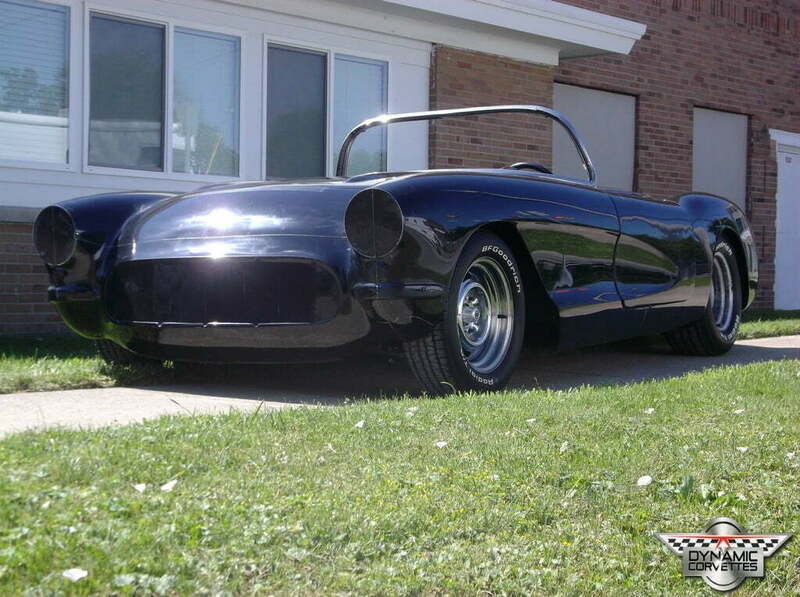 With over 36 inches of modifications, this is the Corvette for big & tall men and women. A completely customizable build. You pick the engine, transmission, rear differential, exterior and interior colors, and accessories (A/C, Power Steering, etc) and the car is built to your exact specifications. No need for extra body work! This vehicle already has the speed junkie in mind. Rear wheel wells can accommodate up to a 12 inch wide tire and still have room to put down the convertible top and a set of golf clubs in the trunk.